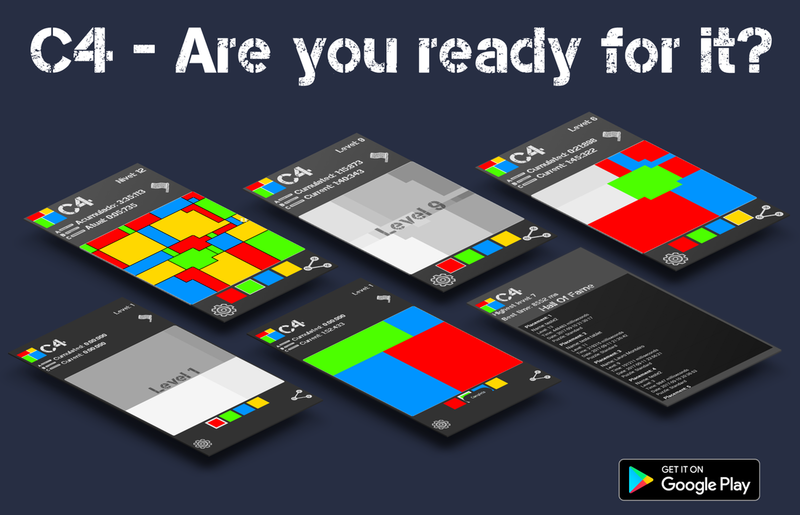 C4 – Color Match Brain Teaser Puzzle is one of the games nominated for the 14th IMGA! Created by Cristiano Monteiro we asked the developer three questions to give you more of an insight into the game. In addition, we have added the gameplay video. Below you will find it. – Could you describe your game? There’s no game like C4 (REALLY!) in the app store. C4 taps into the old Map Color Theorem, which only a few decades ago was computationally proved that 4 colors are enough to paint any map. C4 will generate increasingly difficult maps for you and the task is to use 4 colors to paint it with no region sharing borders having the same color. A Global Hall of Fame adds extra spice. Even though it dirty easy to learn how to play it’s a daunting task to master it so one can really advance far in the game or even complete the 54 dynamically generated levels. – What makes your game unique? – Why do you think you will win the Grand Prix this year? My game is not focused on eye candy, distractions, sidetracks; it’s an elegant interface presenting a unique (yes, it’s unique) gameplay, challenging but not intimidating, finite but appear to be not, to all ages, smart, robust, well tested, competitive, so, all elements games should present before eye-candiness. Simple, straight to the point, not ugly, actually spartan elegance, coming back to puzzle roots, fun, competitive. Try it and see what I’m talking about. Cristiano it was an honor to learn more about your game. The IMGA Team wishes you the best of luck during the voting and second judging session. Furthermore, we are excited to see you at the award ceremony in San Francisco on March 20.